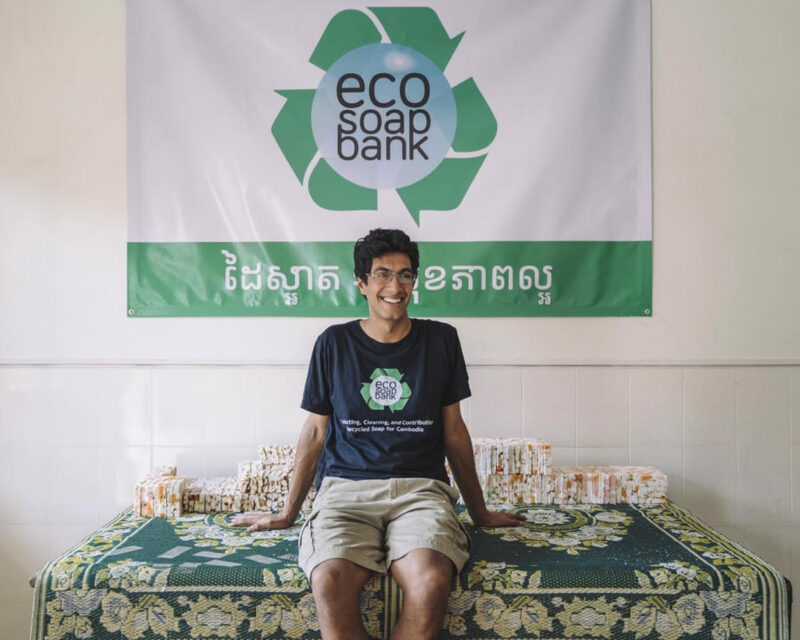 PennsylvAsia: Three events with Samir Lakhani, Eco-Soap Bank Founder and University of Pittsburgh alumnus, February 9 at Pitt. Three events with Samir Lakhani, Eco-Soap Bank Founder and University of Pittsburgh alumnus, February 9 at Pitt. The University of Pittsburgh will host alumnus and Top 10 CNN Hero of 2017 Samir Lakhani for three events on February 9 as an "Race, Gender and Leadership Series: Health & Entrepreneurship in Asia" series. Lakhani will give a keynote address from 12:00 pm at Alumni Hall. From 3:00 to 4:30 pm is an "Healthy Global Engagement and Social Entrepreneurship: How to work responsibly with/as an international NGO?" discussion in the Willian Pitt Union. An informal dialogue between Pitt students and Mr. Lakhani on best practices when seeking employment with non-profits or developing new NGOs to serve the needs of developing countries. And from 5:00 to 7:30 pm, the Katz Graduate School of Business will host his "Fireside Chat: Innovation and Social Entrepreneurship". Pitt Business is proud to host a fireside chat with University of Pittsburgh alumnus Samir Lakhani, founder of Eco-Soap Bank and a Top 10 CNN Hero of 2017. In this special discussion, Lakhani will highlight the power of social entrepreneurship to make positive health, economic, and environmental impacts on the developing world. Pitt Business Associate Dean Audrey J. Murrell will serve as moderator, as issues of ethics, leadership, health, and global entrepreneurship in the 21st century are discussed. The events are free and open to the public, but both the keynote address and the Fireside Chat require advance registration.